Announcing the New TDD LTE Module With First-in-Class Innovative Technology…Only From Corry Micronics! Our new TDD LTE Module is so advanced…you know it could only come from Corry Micronics! 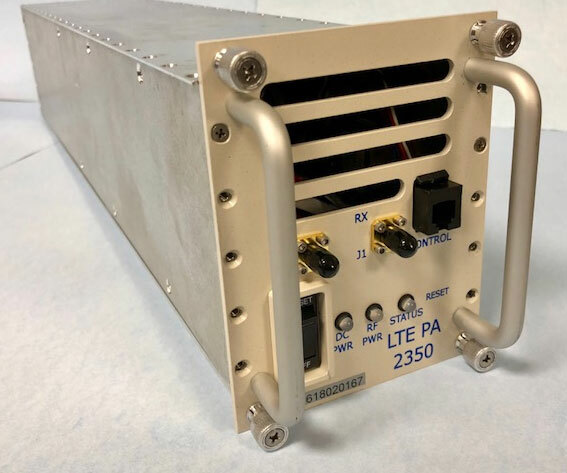 This module for the satellite and RF technology industry is an amplifier module for LTE signals in the 2300 to 2400 MHz band that is designed to mount in a single slot of a standard four slot 3U, 19″ chassis. But it is what’s inside and what it can do that is so amazing! Take a look at some of the details! Supports unpaired Time Division Duplex (TDD) spectrum. Has separate low power level Receive and Transmit ports for interfacing to a Software Defined Radio (SDR). Provides the necessary switching to enable and disable the Receive and Transmit signals using real time control from SDRs. Can be monitored and controlled over a LAN. Is a Hi-Power unit with an output minimum of 25 watts. And we’ve only scratched the surface! Once you see the entire specs we’re sure you’ll agree – Corry Micronics has done it again! Download the spec sheet and/or request a custom quote by filling in the box provided – and be prepared to be amazed! Get a Spec Sheet and/or A Custom Quote For Corry Micronics’ New TDD LTE Module!